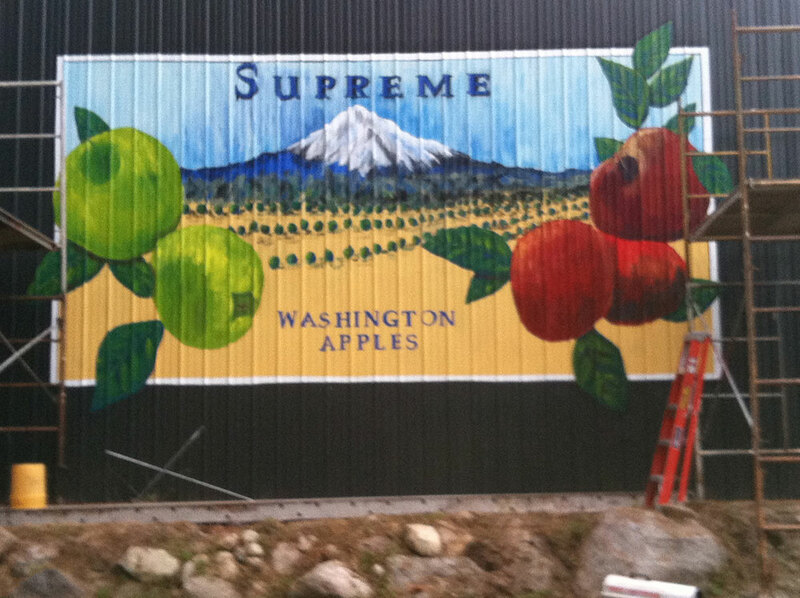 Dunn MURAL, R. and S.
An old fashioned advertisement inspired mural (Supreme Washington Apples) on the side of their shop in Poulsbo Washington. This image is 20' wide by 10' high (300sf total) and was completed in 4 days in 9/2013. It is a modified retro ad for Washington State Apples, done from an example that the client had. This project battled with rain arriving sooner than expected and having a surface of corrugated metal proved to be quite a challenge.I Thank goodness for the assistance and hospitality of my clients throughout this project.